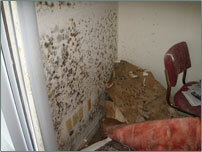 Mold and Bacteria Services | Sierra Environmental Testing and Consulting Inc. Mold growth and airborne spore contamination in indoor environments is not a new condition however due to more recent studies and the resulting understanding of the health affects of mold in indoor environments, the response and handling of mold in indoor environment has changed. Water damage, floods, excessive humidity are just a few sources in which moisture is introduced into an environment that is just waiting for the opportunity to thrive. While mold and mold spores are ubiquitous, meaning everywhere, the excessive accumulation of mold or mold spores in an indoor environment can have short and long term health affects if not responded to quickly, properly and precisely. Sierra Environmental Testing and Consulting Inc. has over 12 years of experience in water damage and fungal damage assessments. From source inspections, sampling and reporting to remediation plans and post remediation assessments, Sierra Environmental Testing and Consulting Inc. utilizes “State of the Art Techniques” and can handle all your consulting and project management from start to finish in order to save time and money and ensure proper compliance and work procedures by the remediation contractor. 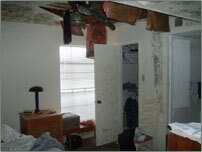 Contamination resulting from sewage intrusion or animal and rodent feces is common and considered to be a Bio-hazard. Appropriate measures and work practices should be employed during a bacterial remediation project to ensure both worker and occupant safety. Sierra Environmental Testing and Consulting Inc. can conduct preliminary assessments to determine the category of contamination as outlined by the IICRC in the S-500 and S-520 standards. If contamination is identified, Sierra Environmental Testing and Consulting Inc. will identify the areas, develop a scope of work and conduct post remediation assessments after the work has been completed. In the event that a bio-hazard situation is allowed to sit for 48-72 hours or longer, mold growth and contamination may also become a problem. Sierra Environmental Testing and Consulting © 2019 You are visitor #314.